Once in a while, it’s nice to remind ourselves that there’s some good news in the world. The nation of South Sudan has recently managed to completely halt the transmission of Guinea worm, a devastating parasite that can harm people in a number of different ways. Not only has South Sudan managed to end the transmission of Guinea worm for humans, it seems possible that the parasite could be entirely eradicated in a few years. Over the past few years, there was a major push in South Sudan to rid the country of Guinea worm, lead by the South Sudan government alongside the Carter Center. The Carter Center is a non-profit organization founded by former US president Jimmy Carter. The Carter Center recently announced that South Sudan has gone over 15 months without a case of Gunia worm being reported. South Sudan’s Minister of Health, Riek Gai Kok, called this fact a “massive achievement”. Guinea worm, scientifically known as Dracunculiasis medinensis, is a parasite which transmits itself through the water. Drinking infected water is the primary method by which people get the parasite. Water sources may have copepods, or “water fleas”, which are infested with guinea worm larvae. These copepods are too small to be seen with the naked eye, and when ingested they bring the larvae of the worm into the human body. After the parasite is ingested it grows within the body for a period of between 10-14 months, which is why it’s significant that there have been no reported cases of the worm in South Sudan over the past 15 months, as it means the parasite has probably been eradicated from the country. People usually become symptomatic about one year after infection. Though Guinea worm infections aren’t usually fatal, the infection can have some horrific effects. In the hours or days leading up to when the worm emerges from the body giant, painful blisters erupt somewhere on the body, usually on the foot or lower leg. The parasite causes the skin of the infected person to experience an incredibly painful burning sensation, intended to make the victim seek out water to relieve the pain. When the worm inside the foot feels the water, it bursts out of the flesh and releases its larvae into the water, which will begin the process over again. The Guinea worm can be quite long, between 60-100 centimeters (two to three feet long) and take a significant amount of time (up to weeks or months) to completely be removed from the body. This can be a very painful and disabling time for the infected person. During this period people can’t work or attend school. Fevers, pain, and swelling can all occur during this time. The open wound can also become infected by bacteria, which causes its own problems, and significant infections can be fatal. The same person can even be infected by the Guinea worm multiple times because the body cannot build an immunity to the worm. Efforts to eradicate Guinea worm have proven quite fruitful over the past few decades. During the 1980s, there were an estimated 3.5 million cases of Guinea worm a year. Most of these cases were distributed throughout central and northern Africa. Since then, most of the nations where Guniea worm could be found have been made free of the parasite. Last year only 30 cases were reported throughout the entire globe, in both Chad and Ethiopia. This means that the complete eradication of Guinea worm is within sight. Guinea worm eradication programs use a variety of methods to combat the parasite. Educational programs spread awareness about the disease and inform people they need to avoid heading to bodies of water even if the burning sensation is excruciating. Technological innovations like straws with filters that trap the eggs of the worm within them have been distributed to communities where water supplies are suspected to be tainted with the worm. Overall improvements to water sanitation and plumbing for cities and villages across Africa have also helped drastically reduce cases of Guinea worm. 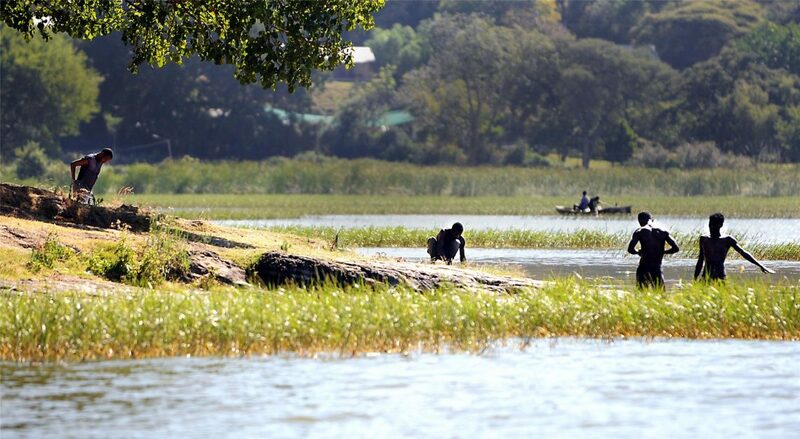 Communal water sources have been treated in areas of Africa with various larvicides, which kill the copepods, or “water fleas”, that carry the Guinea worm larvae. Much of the recent push for the eradication of Guinea worm was lead by Carter and the Carter Foundation. 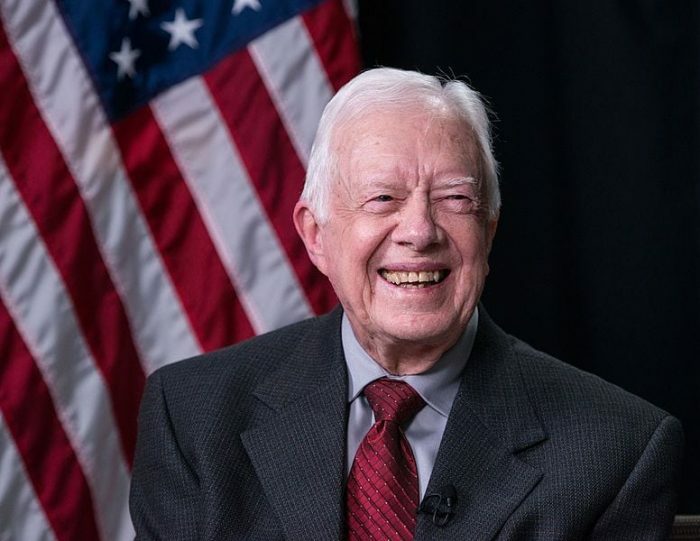 Former President Carter has taken a personal interest in ending Guinea worm, and in 1995 even negotiated a peace treaty between two warring factions in South Sudan to allow the treatment of the worm. South Sudan still struggles with many issues like poverty and civil unrest, making the eradication of Guinea worm a much welcome bit of positive news. South Sudan’s success shows that people can collaborate for the common good. We look forward to certification by the WHO in the next few years that South Sudan has won the battle against this ancient scourge. We are within reach of a world free of Guinea worm disease. Guinea worm very rarely infects animals other than humans, though it is possible. For this reason, programs that seek to complete eradicate the worm will also have to focus on eradicating the worm from animals like dogs and cats. The CDC says that Guinea worm probably doesn’t find it ways into cats and dogs like it does humans, rather it may find its way into them when they eat an aquatic animal that has been infected by the guinea worm. If Guinea worm is successfully eradicated, it will become only the second human disease to ever be eradicated, following the eradication of smallpox in the 1980s. Guinea worm isn’t the only disease the World Health Organization is focusing on eradicating. Programs led by the WHO are also targeting Polio and Malaria for eradication. Polio has gone from around 400,000 estimated cases in 1985 to only a few hundred a year in the last few years. Malaria remains a scourge in much of Africa, parts of Indonesia and parts of South America. Yet global deaths from Malaria have already dropped from more than 800,000 in the year 2000 to about 430,000 in 2015, being cut almost in half. Hopefully, within a year or two, Guinea worm will no longer be a threat to people, having been completely eradicated from the globe.